Memorial Health System offers community members an opportunity to volunteer and enrich the lives of others as well as their own. Volunteers fulfill a very special need and are important to MHS’s caring atmosphere. There are a number of different volunteer opportunities at MHS affiliates. Volunteers help with a number of tasks, including assisting at the Memorial Hospital’s information desk, providing respite care to family members of hospice patients, performing clerical duties for various affiliates, knitting baby caps and blankets for newborns at The Stork Station, and assisting with Village Manor resident activities. 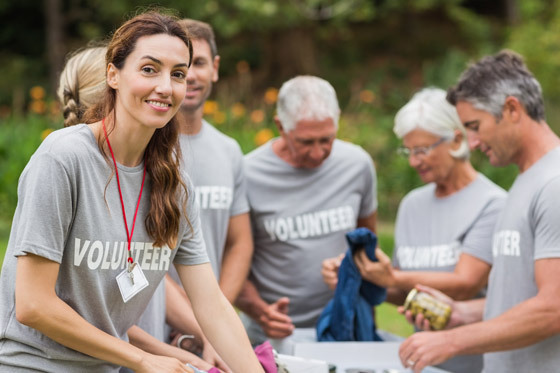 The Memorial Health System Volunteer Corps provides a variety of volunteer services to MHS affiliates, including Memorial Hospital, Village Manor, Learn and Grow Depot, and Impact Sports and Fitness. For more information about volunteer opportunities at these affiliates, call the MHS Director of Volunteer Services at (785) 263-6692. Below are more details about special programs the MHS Volunteer Corps offers. This program, offered through the MHS Volunteer Corps, is designed for area students ages 14 to 18. This unique program offers students an opportunity to volunteer in various MHS affiliates. This is the perfect way for students interested in a health care career to obtain first-hand experience while giving back to their community. The Summer Youth Program is held from mid-June to mid-August. Applications are due at the end of May/beginning of June. Please call the MHS Director of Volunteer Services at (785) 263-6692 for more information. Volunteer chaplains provide spiritual support to patients, family members, and staff. Chaplains are compassionate and non-judgmental listeners. They can pray with someone (if requested), and offer encouragement and spiritual support. Please call the MHS Director of Volunteer Services at (785) 263-6692 for more information. The American Red Cross Gray Ladies volunteer their time by offering friendly, personal services of a non-medical nature to patients at Memorial Hospital. They provide hospitality such as delivering cards and offering coffee, tea and juice to patients and visitors. These volunteers continue a tradition that began in the wake of World War I. The Gray Ladies in Abilene are one of the last American Red Cross Gray Ladies groups left in the United States. Please call the MHS Director of Volunteer Services at (785) 263-6692 for more information. Do you love to work on crafts? The MHS Volunteer Corps craft committee meets monthly to work on a variety of craft projects for MHS affiliates. Projects have included items for new babies at The Stork Station, table decorations for Village Manor dining areas, giveaways for Flour Power Family Fun Fest, winter hats for area children, and more. Please call the MHS Director of Volunteer Services at (785) 263-6692 for more information. Do you enjoy making cards for loved ones? You might also enjoy “Recycling Cards with Love” with the MHS Volunteer Corps card committee. The committee collects used greeting cards in good condition and decorative materials to create beautiful new greeting cards. These cards are available for purchase near the front entrance of Memorial Hospital. All proceeds benefit MHS Volunteer Corps special projects. Please call the MHS Director of Volunteer Services at (785) 263-6692 for more information. The Hospice of Dickinson County volunteers are an integral part of the caring services hospice offers to terminally ill patients. Hospice volunteers may provide respite care to hospice family members, perform clerical duties, complete marketing projects, and assist with fundraising and education. All hospice volunteers must participate in a special training. Please call the Hospice Volunteer Coordinator at (785) 263-6630 to find out when the next training will be offered or for more information. Hospice families are not forgotten after a death. Volunteers are an integral part of Hospice’s Bereavement Support Program.They visit bereaved family members and help with mailings of bereavement support materials. Please call the Hospice Volunteer Coordinator at (785) 263-6630 for more information. Volunteer chaplains provide spiritual support to patients, family members, and staff. Chaplains are compassionate and non-judgmental listeners. They can pray with someone (if requested), and offer encouragement and spiritual support. Please call the Hospice Volunteer Coordinator at (785) 263-6630 for more information. Volunteers with clerical skills serve Hospice by helping in the office with simple administrative duties. Fundraising responsibilities range from preparing mailings or thank you letters to helping with fundraising events. Please call the Hospice Volunteer Coordinator at (785) 263-6630 for more information. This can include visiting, reading, taking walks, writing letters, bringing in music, running errands, or sometimes just sitting quietly and holding a patient’s hand. Please call the Hospice Volunteer Coordinator at (785) 263-6630 for more information. 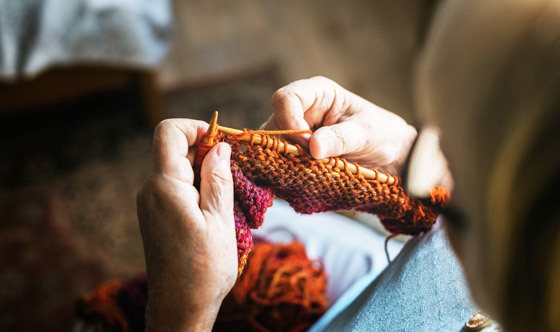 Hospice volunteers assist with shopping and light household duties, or allow family caregivers the opportunity to take care of necessary errands and get some time away from the house. Family members also appreciate a visit from a compassionate friend who understands what they are going through. Please call the Hospice Volunteer Coordinator at (785) 263-6630 for more information.